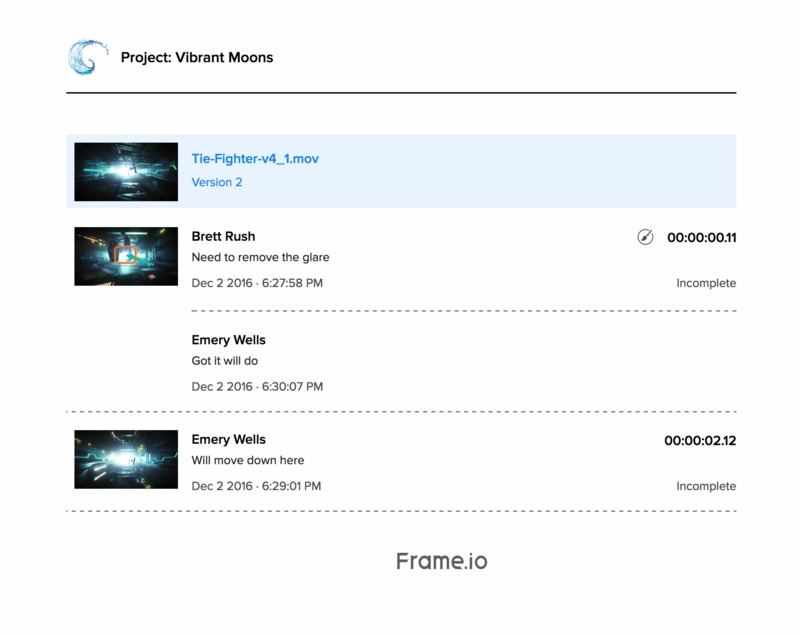 Export your comments from Frame.io into another clip within the project, possibly a newer version or you can export as a CSV or XML file for your NLE. Click the down arrow at the top of the Comments Bar and this will present the different options. 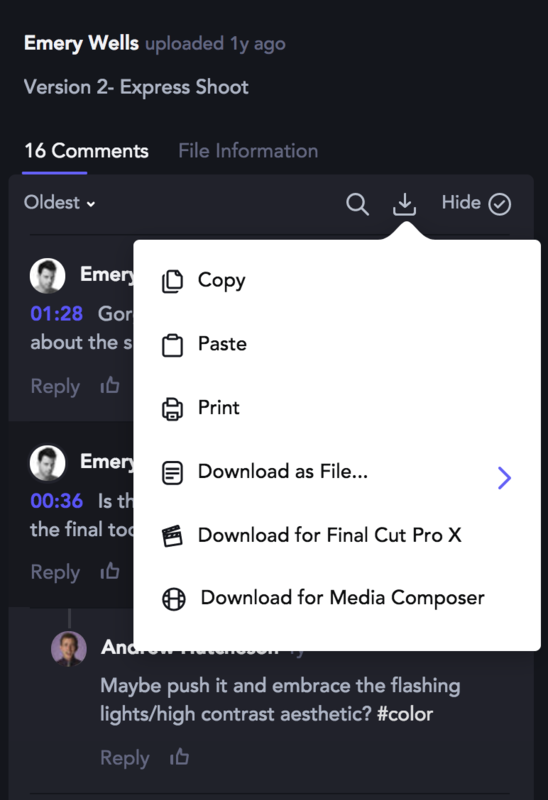 Copy will copy all comments to your clipboard where you can then go to a different video and paste them in. 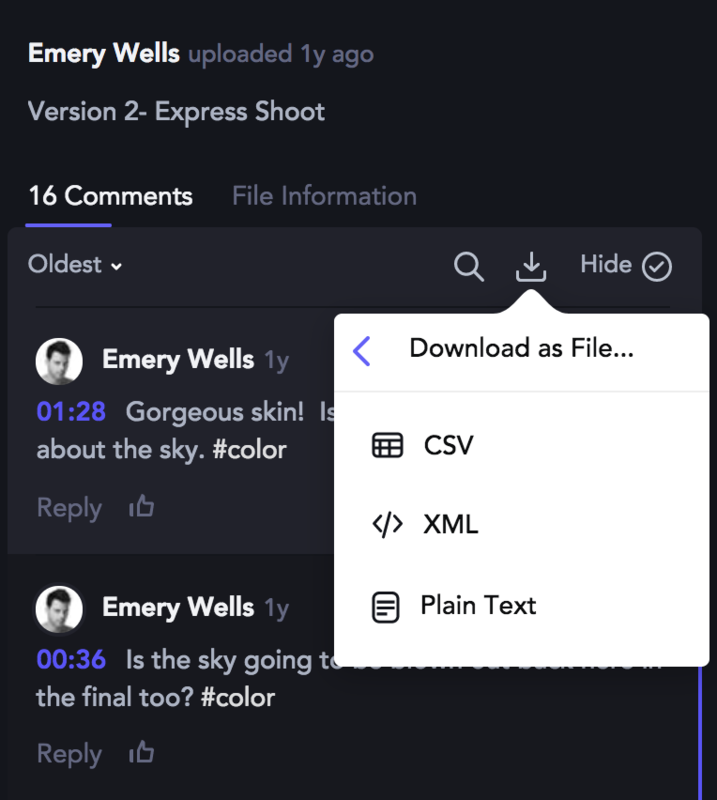 Clicking Print will create a comments page ready to print including a thumbnail with annotations and timestamps, when the comment was left and if the comment is marked Completed or left Incomplete. You can then save this page as a PDF. When you change the sort (ex: by timecode) the page will be displayed by that sort. Download As File will give the options of XML or CSV.